GJ Plastics large format printing department continues to grow at a rapid rate to cope with the ever increasing demands, we have got busier and busier. So we made the decision in order to cope with the extra capacity needed, we would need to expand by extending the building of our print department. 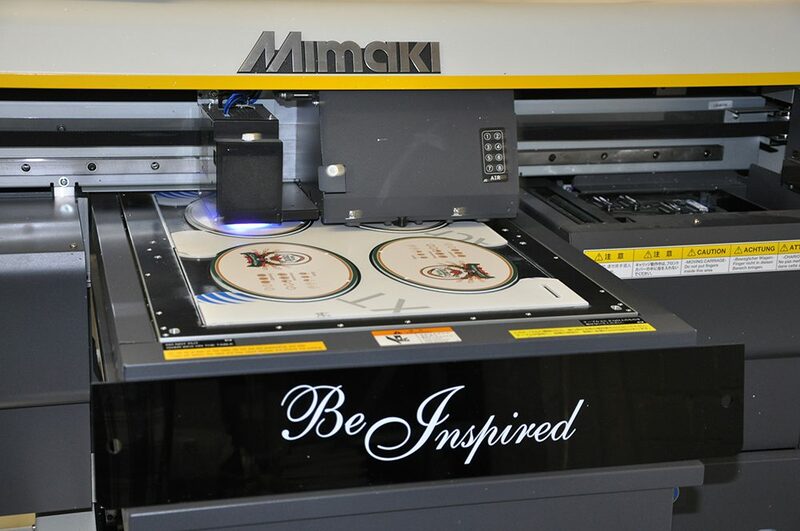 The doubling in size of the print area enabled us to purchase a Mimaki 3042 HG printer for promotional gifts and another HP FB500 flatbed Digital Printer thus more than doubling our large format printing capacity. Mimaki 3042 HG. The perfect solution for printing of promotional gifts. 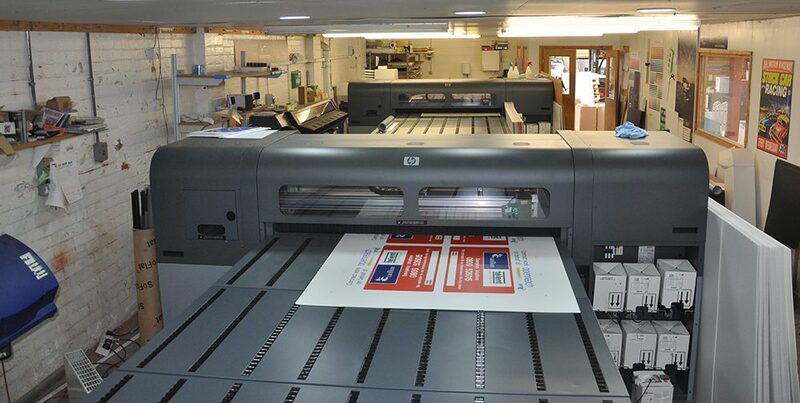 Our FB 500 Digital Printers print large amounts of Correx Signs. The new FB 500 for large format printing, was purchased from Darren Walker of Perfect Colours, they made the whole sale process easy and efficient and the level of service provided was second to none. The installation was undertaken by Art Systems this was also handled in a smooth efficient way both these companies are truly world class in everything they deliver and we offer them our thanks. The additional FB500 allows us to produce our quality large format printing of Correx Signs these are an extremely cost effective method of promoting your festivals, exhibitions or any other type of event, they are also ideal for the promotion of any product launches or sale promotions. Other outdoor and indoor signs on other substrates such as Dibond, Foamex and acrylic sheet materials all with quality UV inks. Along with our roll to roll printers (HP 360 latex) which provide the perfect solution for printing vinyl stickers, roller banners and outdoor banners to a very high standard. Cutting and finishing department for large format printing. Due to the rapid growth in production levels and to assist us in meeting those very important customer deadlines, we also took the decision to build a dedicated cutting and finishing department for all our printing. This new dedicated area improved the speed and efficiency whilst still maintaining our high standards of all our print finishing and packing processes.